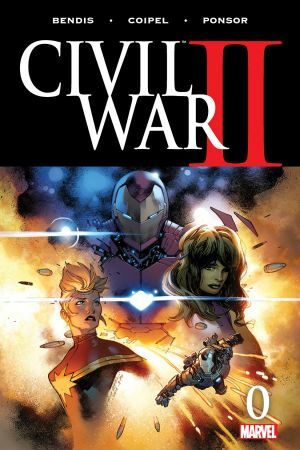 Examine Carol Danvers' role against Iron Man in 'Civil War II'! While the first Super Hero CIVIL WAR revolved around whether the cape and cowl crowd should register their identities with the government, the second brought the question of profiling to an entirely new level! 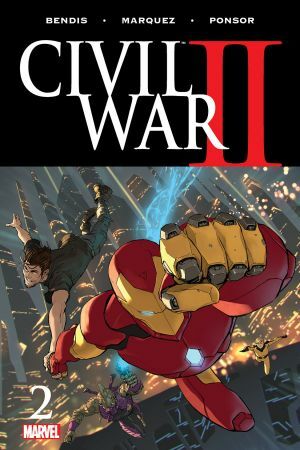 As a result, the Inhumans passed along information to the Avengers about an impending Celestial attack, which Earth's Mightiest Heroes stopped. Afterwards, during a victory celebration, Medusa introduced them to Ulysses and Carol wanted to offer him a job with the ULTIMATES. However, Tony Stark wasn't so sure about all this as they'd just met the kid and had no idea what his powers actually entailed. He also hated the idea of stopping crimes before they'd been committed and was concerned about those who might abuse those powers. A few weeks later, Ulysses told Carol, Black Panther, and War Machine about a vision he had of Thanos attacking Project P.E.G.A.S.U.S., which turned out to be exactly what happened. During the ensuing fight, the Mad Titan killed War Machine and put She-Hulk into a coma. Enraged at the loss of his friend, Tony kidnapped Ulysses and tried running tests on him that got interrupted when the Inhumans and Avengers broke in. Just then, Ulysses had a vision of the Hulk killing everyone, so Carol and company flew off to arrest Bruce Banner, especially after they found out he'd been conducting experiments on himself. Then, out of nowhere, Hawkeye shot Banner in the head with arrow that seemingly killed him and then turned himself over to his friends. Danvers testified on Hawkeye's behalf at the ensuing trial wherein Clint said that Banner asked him to kill him before the Hulk could come out again. Even after the disastrous situation with Banner, Carol continued tapping Ulysses for information and taking out threats before they became too great. Meanwhile, Tony had scanned Ulysses' brain and came to realize that he read energy and devised potentialities, but did not specifically see the future. After Stark assembled a team that shared his views on this whole thing and helped get a woman out of jail who had been arrested for a vision but hadn't done anything wrong, a huge fight broke out after Carol's pals in the Guardians of the Galaxy showed up to back her play. Soon after, everyone saw a new vision of Miles Morales killing Captain America and Carol wanted to take him in. The young hero first said he was going home, but instead he went to the spot from the vision to prove that it wouldn't happen. 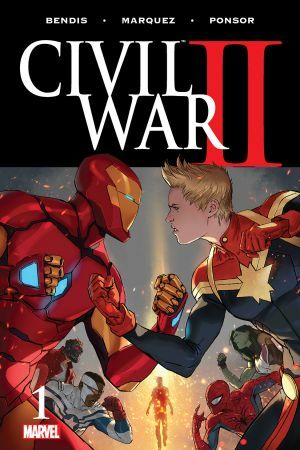 At that point, Danvers showed up again to take him in, but she couldn't when Tony Stark appeared in a highly weaponized armor and fought her. 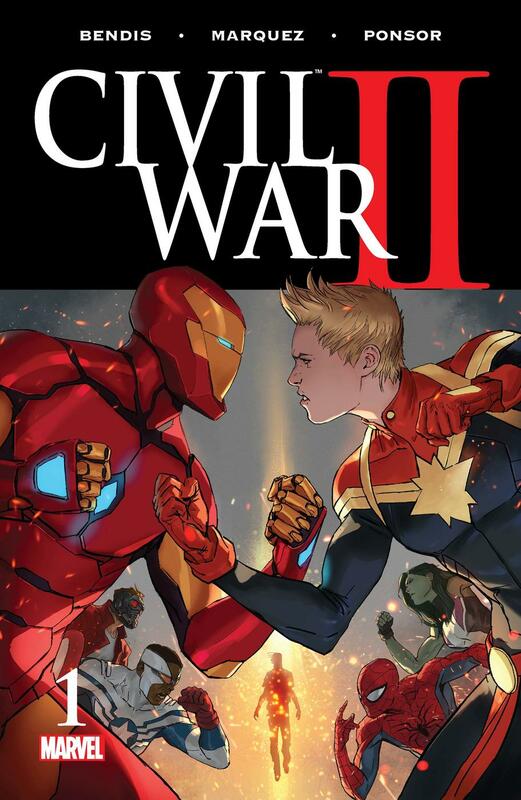 To stop him, Captain Marvel nearly beat Stark to death, leaving him in a coma for a while. While that went down, Ulysses evolved beyond his human form before their eyes, meaning he could no longer be used as an asset. In the wake of the event—which also ran through most of the Marvel Universe including Carol-related comics like CAPTAIN MARVEL, THE ULTIMATES and A-FORCE — the President offered Danvers a "golden ticket" to cash in and she used it on some "ideas about the future." Speaking of the future, we'll get into those next time!